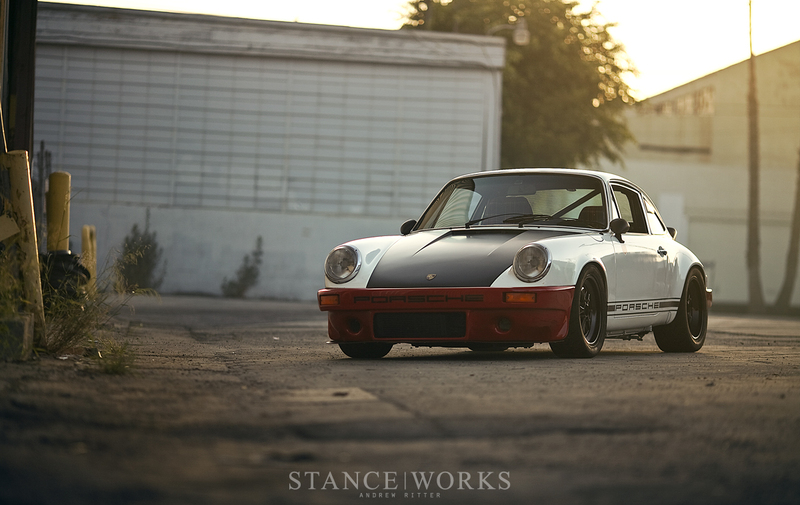 It's crazy to think that StanceWorks has been around long enough to form annual traditions, but once again, I find myself nearing the end of a calendar year and searching through old photos for this article. Mike and I tend to enter each year with an uncertainty, but we can always count on it being an exciting journey filled with great people and exciting cars. 2014 was no different. Our search for inspiring automotive stories carried us across the country, around various tracks, and through the country roads of Europe. With each adventure, we did what we do best, documenting them with the snap of our shutters. Now, as I look back, the photos serve as a reminder of all the great moments in 2014. With each new year comes new experiences and opportunities. 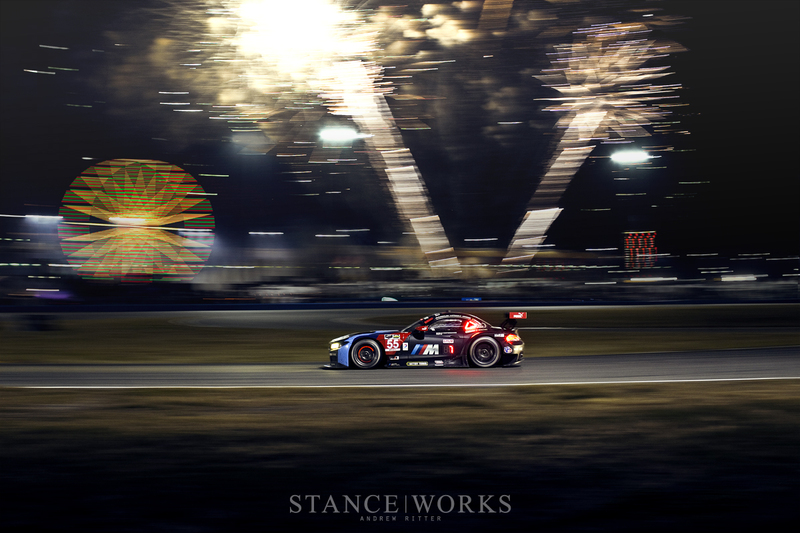 Mike and I kicked off 2014 with a bang, tackling our first 24 hour endurance race and the first race of the Tudor United SportsCar Championship. It was my first time shooting a race through the night hours and came with its own new challenges. The panning shots that had become so familiar, took on a whole new level of difficulty when the sun called it quits and ducked behind the horizon. With each lap, I tried to reign in the BMW Z4s as they flew by. A steady hand was mandatory under the limited light, so I was elated when I managed a crisp photo of the number 55 BMW Z4 as it crossed the iconic Daytona Ferris Wheel and Fireworks of the Rolex24 celebration. While new tracks offer up obvious excitement with their unknown opportunities, it's thrilling to find new angles and locations at the tracks you're already familiar with. 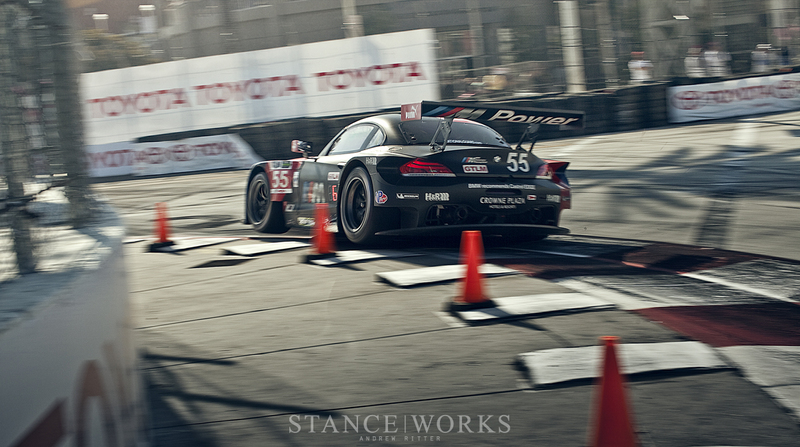 We have been shooting alongside BMW and Team RLL at our hometrack, LBGP, and I've rounded the perimeter countless times over the years; however, this year I sought out new angles and new corners that had not graced the pages of StanceWorks. As the race neared its end, I happened upon a vacant corner that never caught my eye before. As the cars completed the long straight away at high speeds, they cut the apex and hopped the curve, readying themselves for the Long Beach fountain. Able to capture a unique angle behind the apex of the fast turn, I rattled off shot after shot, hoping to capture the thrill of racing road courses. Amidst the new photos and races each year, we're also blessed with a number of new friends and faces throughout our journey. This year, I had the pleasure of meeting Magnus Walker. He's a man who is truly passionate about his cars and that passion is exemplified in everything he does. 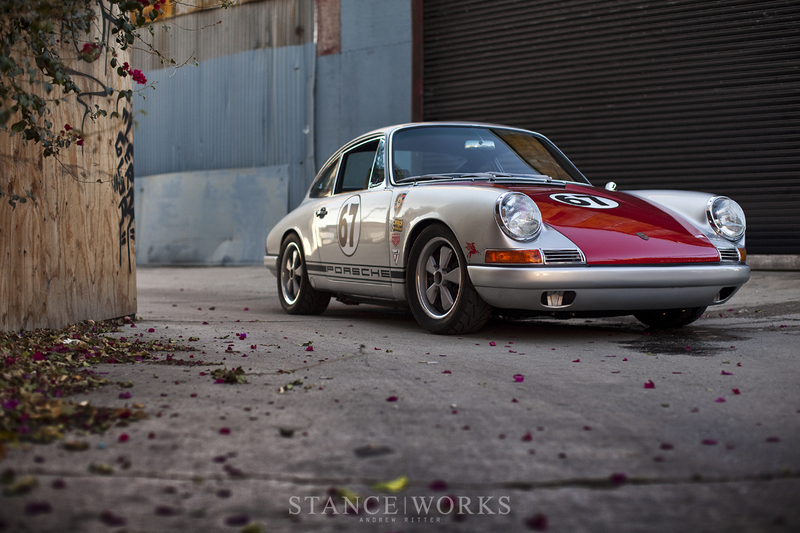 Working alongside him to document the aircooled Porsches that come out of his garage has been a true joy. The photo shoots are often interlaced with shop talk on the side of LA city streets, and they carry an enthusiasm that is shared between fellow car guys. I have an amazing time shooting his cars over the past few months, and I'm eager to continue as 2015 rolls in. The most memorable trip of 2014 started as Mike and I boarded a plane headed for Milan, Italy. Whether time was spent blasting through the mountains in beloved old BMWs or sitting alongside the judges of the Concorso d'Eleganza, the entire journey seemed unreal. 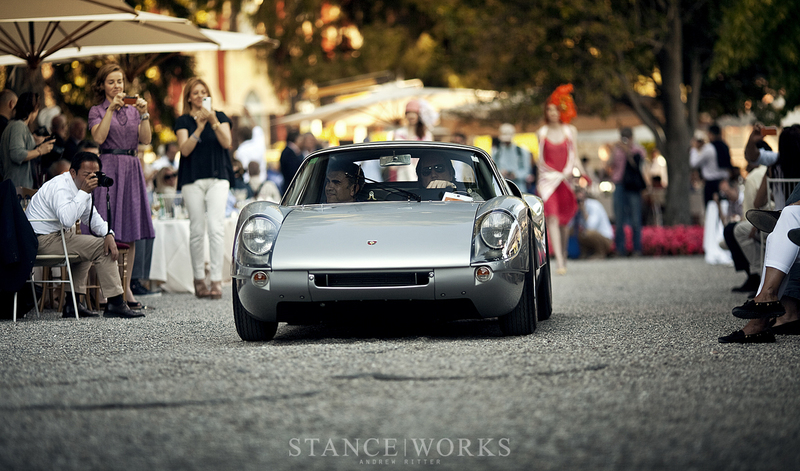 The cars that drove through the show field and in front of the Grand Hotel Villa d'Este were all such a spectacle. Our camera's memory cards were filled time and time again as we traveled around the northern countryside. Even as the year wraps up, we will continue to share some of the memories from our trip abroad. I took time this year to return to my home state and visit old friends. 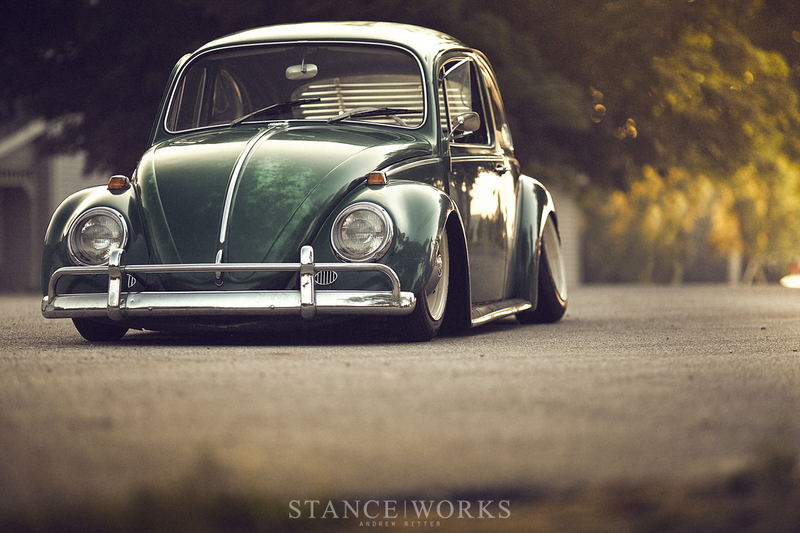 Following the bagged Mk5 that first caught my attention years ago at Waterfest, Paul began putting together this beautiful old Beetle. When I saw the patina and unbelievable static height in photos across social media, I knew that I had to find a way to witness it in person. He and I met up in a tiny town in Central Ohio for a shoot. We caught up on old times and I took in his latest build as the sun set. While I was home in Ohio, I returned to the track that I grew up at. I had seen some truly great races around Mid-Ohio, but I don't think any could rival this year's Mid-Ohio Vintage Grand Prix. Marking the 55th Birthday of the classic Mini, the track hosted the Can-Am Mini Challenge. Minis from all over North America gathered in the paddocks, and a grid of 47 Minis fought their hardest for first place. 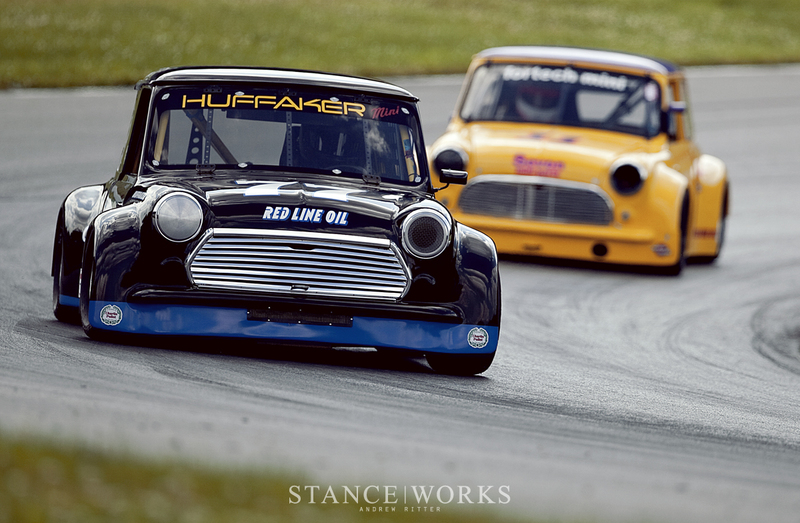 I have a profound love for the classic Mini, so shooting this race and watching as they all buzzed through the turns was a dream come true. The Can-Am Mini Challenge won't return until 2019, but I'm already excited to do it all over again. As the year brings you new friends, it also allows you time to build fun memories with familiar friends. I've really enjoyed having Jeremy and Alie out west with us in California, and in 2014, Jeremy took on a new build with the daily driver that he originally told me wouldn't be "getting much work". Before we knew it, the build had snowballed into a feature worthy project, so he and I took it up to Los Angeles. I sought out to find some new photo locations to change it up from our usual DTLA spots. Without a plan and with some unexpected hurdles, we quickly ran out of light. Luck happened to be on my side this time around and everything aligned for the last location. We hoped out of the car and I captured this photo which will go down as one of my favorites from 2014. Each year, we're met with an opportunity to shoot a classic car from the history books that I never previously knew existed. Being able to spend time with one of only 2 BMW 700RSs was truly incredible and could only be topped by taking it for a ride home after the shoot. It's a car that is reminiscent of an era racing that has long gone, but the little BMW still hold true with all of its little character traits. The Rolex Motorsport Reunion has simply become a staple in my schedule. Before the year even begins, the dates are scribed in my calendar. 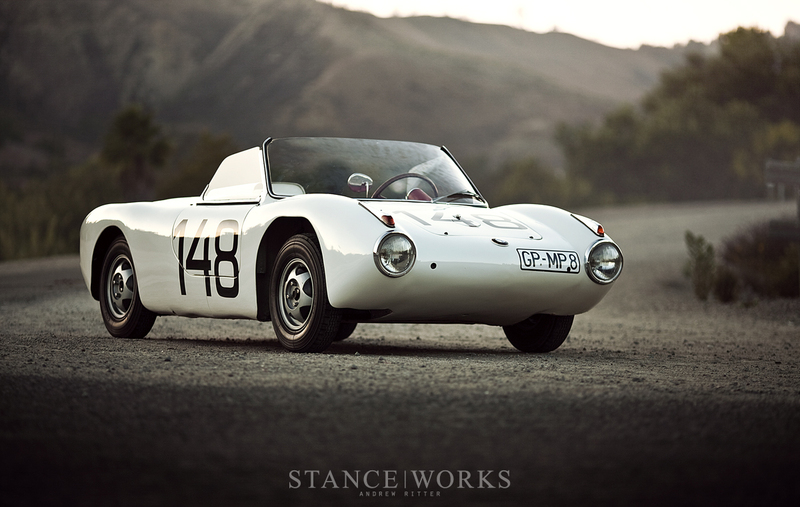 There's no question that I'll be driving up to Monterey as August approaches. This year, I challenged myself to spend time finding new angles, compositions, and techniques to photograph the same race that I had shot numerous times in the past. Standing at the pit garages, I dedicated an afternoon to capturing panning shots on the main straight, and the result was a great new spin on my usual panning work. H2o International is one of the other events that seems certain each year. While there was some minor hesitation this year, we still found ourselves boarding the plane for the east coast. We couldn't pass up the opportunity to see what our friends had been building on the other side of the country. Towards my last days in Maryland, I met up with Ollie and Jaze. In the year prior, we got to see Ollie's in-progress Felony Form overfenders, but this year I was able to appreciate the final product of his dedication. 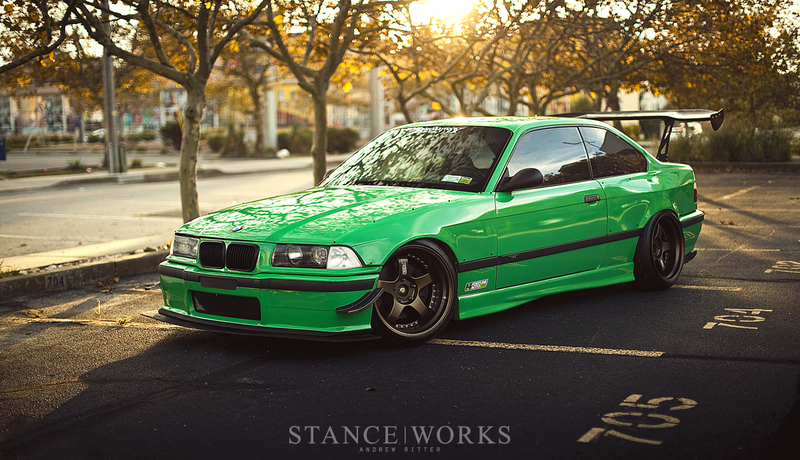 Jaze, of Broadway Static, had utilized the fender on his most recent M3 build and the outcome was truly impressive. The two of them have accomplished a lot this year, and it was honor to document their hard work with a StanceWorks feature. While I was at Laguna Seca, I spent time shooting a car that was amongst the collection of photos in last year's photo review. 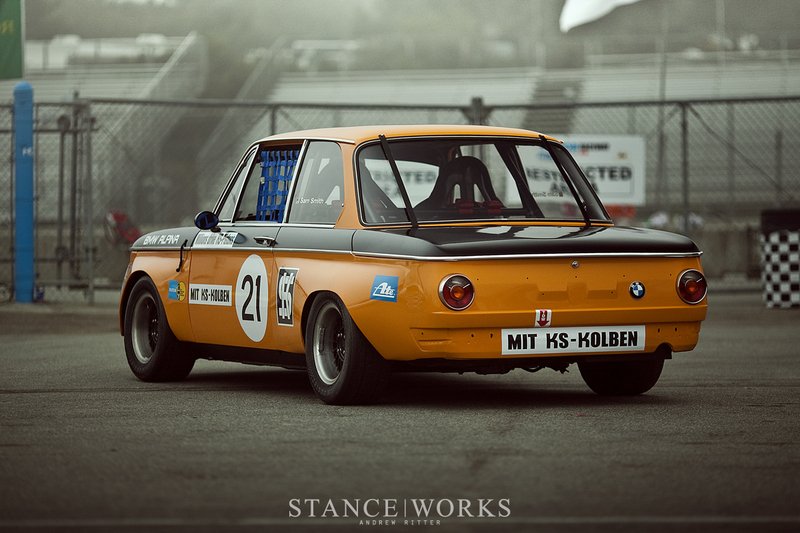 BMWUSA Classic had given the little 2002 a complete makeover that warranted another place on the pages of our blog. With its new Alpina livery, the car returned to its original roots and it took to the track to prove what makes 2002s so special. The fun and agility that is harnessed by the little classic two-door was apparent as it slid around the corners and battled with the best of them. 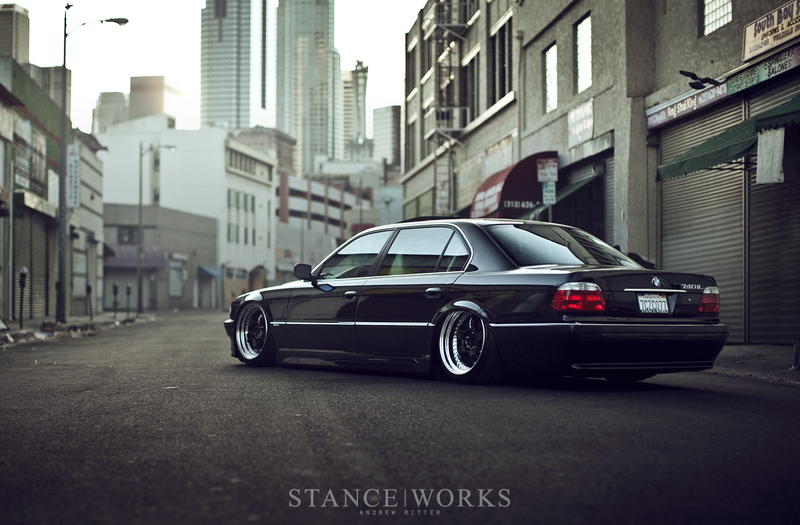 The end of 2014 held some big changes for our longtime friends at Rotiform. Carl Taylor packed up his belongings and traveled across the pond and finally made the inevitable move to California. He was just in time to help as Brian and Jason moved Rotiform into the new facility that will be their headquarters as we head into 2015. Rotiform has always been at our side over the years and they've always impressed us, so while we aren't surprised by their continued success, we can't wait to see what they have in store for us. 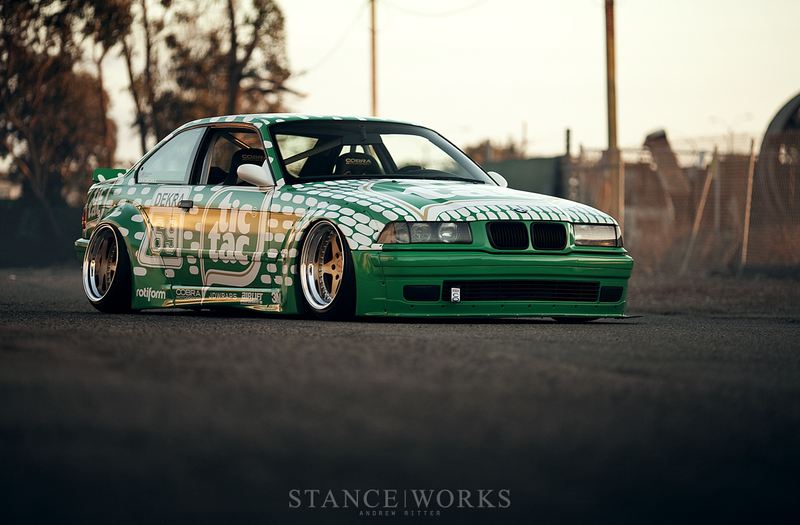 Brian and Carl made a splash this spring with their art-car inspired builds over in Europe, and Carl continued with his Tic Tac E36 here in SoCal. 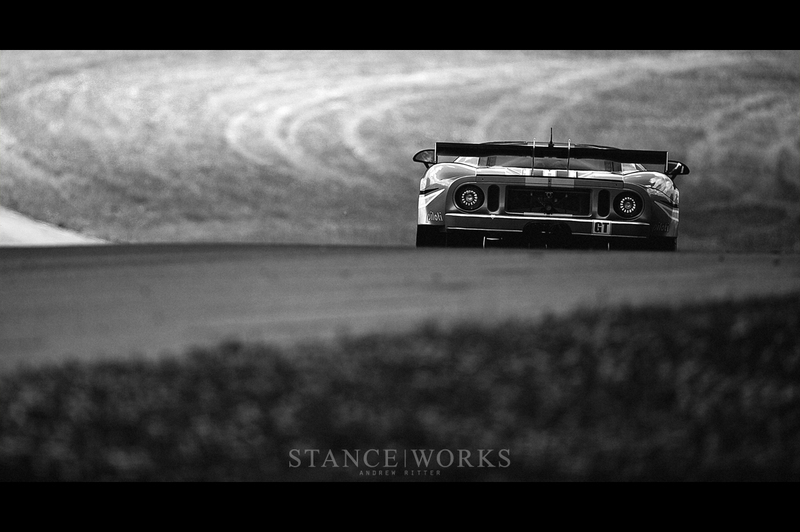 I feel honored to conclude my 2014 year in review with a shot from one of our BMW Art Car photo shoots. 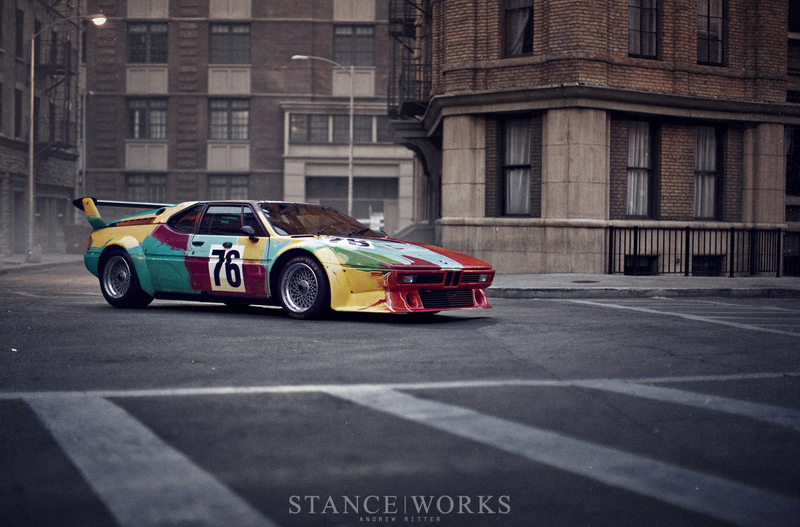 Mike and I woke early to photograph the legendary Andy Warhol BMW M1 on the set of Universal Studios, and it proved to be the perfect combination of subject and setting. Just being in the presence of such a car was an incredible experience, so I was simply awestruck to find my photo in the pages of the 'BMW Art Cars' book that was released this year. 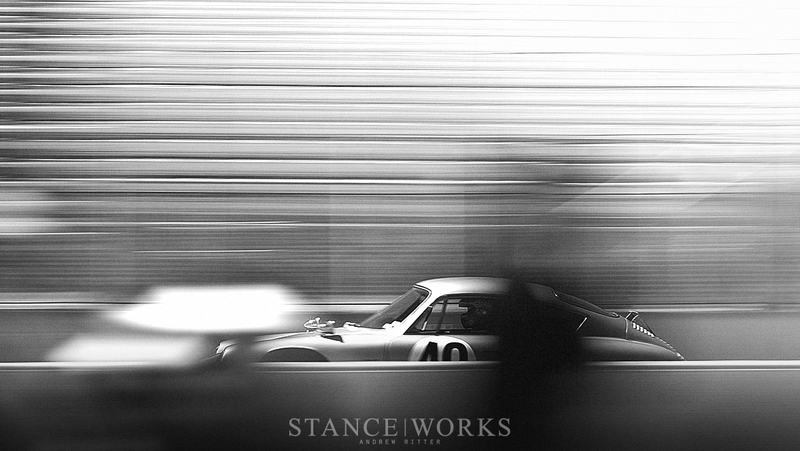 StanceWorks has allowed Mike and I to go on some amazing adventures, and over the years we've been able to accomplish so much while growing as photographers, business partners, and friends. It's fun to go back and appreciate the beautiful work that we've created over the past 12 months. 2015 lies just ahead and I can't wait to see what it holds in store for us. Have a safe and happy New Year!